ESG available to ship for experimental aircraft. For certified aircraft, please contact our sales team to request an installation quote. 2020 COMPLIANCE IN ONE BOX Stratus ESG is a TSO certified* transponder that provides 2020 compliance in one box. 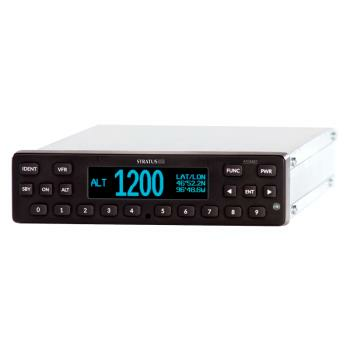 It’s a 1090 MHz extended squitter (ES) transponder with built-in WAAS GPS. Designed to replace legacy transponders, Stratus ESG is a solid state transmitter that provides 310 watts nominal power output. Its modern keypad makes entering a squawk code easy. The convenient VFR button minimizes pilot keystrokes. 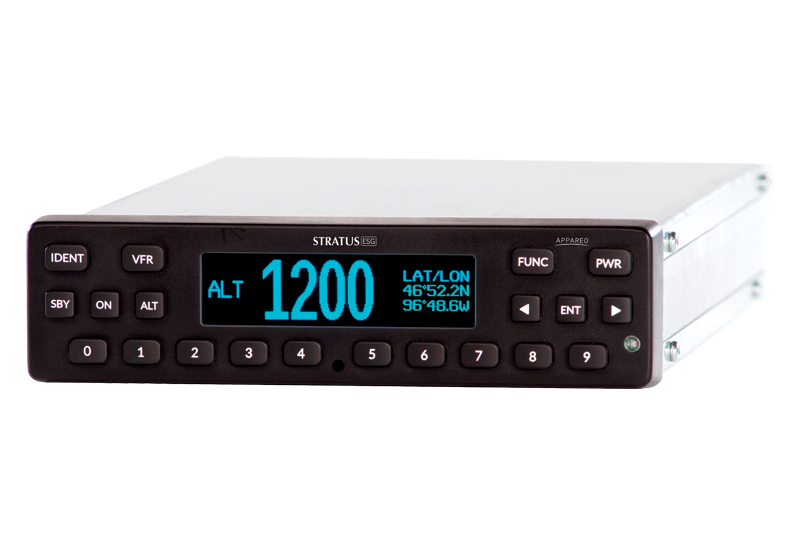 Stratus ESG is a form-factor replacement for existing transponders — such as the popular KT 76A/C** — so installation is more time-efficient compared to remote boxes that need to be integrated with your old transponder. A TSO’d WAAS GPS antenna is included in the kit, and Stratus ESG can reuse an existing transponder antenna. It also accepts both serial and parallel (e.g. Gray code) inputs, so you can reuse most altitude encoders.